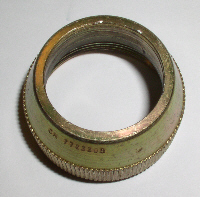 Replacement Nut for the back of MS75021-2 connector. Part No. : 7722309, NSN: 5365-00-393-6685.